Techniques for using questioning to extend and evaluate student learning experiences. Eight different kinds of questions that challenge students to demonstrate higher-order thinking and communicate depth of knowledge. How to rephrase the performance objectives of college and career readiness standards into questions that engage and challenge students. 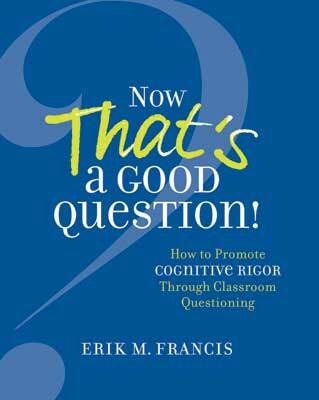 Francis offers myriad examples of good questions across content areas and grade levels, as well as structures to help teachers create and use the different kinds of questions. By using this book to fine-tune your approach to questioning, you can awaken the spirit of inquiry in your classroom and help students deepen their knowledge, understanding, and ability to communicate what they think and know.